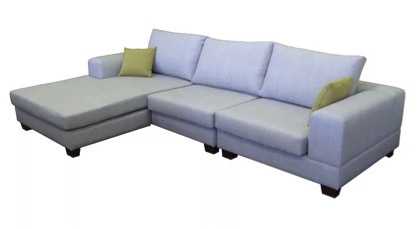 Home / Uncategorized / Why Buy Australian Made Sofas? Firstly, welcome to Lounges Direct! A passion project, yes, but hopefully one that will encourage more people to buy Australian made furniture. Why? Well, its because we believe we can offer Australian made lounges at a price that is competitive with imported products. Sure, we have to do this online, but this is the way of the future. By taking out the middle man and reducing our margin, we can ensure our suppliers products are priced at a price point that is very attractive to the prospective client. It is our promise that we will always offer, as a first point of call, Australian made materials. This includes everything that goes into producing a new sofa or chair. Unfortunately, there are some things that cannot be easily sourced in Australia such as clips, screws etc, but our promise is to, as much as possible, have Australian made materials as the first option. Is there flexibility outside the Australian Made parameters? Yes, is the short answer. As much as we love Aussie made products, there are situations where the fabric a client would like to suit there situation just is not available. Of course, our clients are our number one priority, so if they desire, they can order any fabric from our major supplier, Warwick Fabrics, or bring their own fabrics. One of the major reasons Australian made sofas are so attractive to the market is because of the warranties that are offered, where the manufacturer stands by their product, and the fact the manufacturer is based in Australia. We believe that Australian made manufacturers stand behind their product and this brings the peace of mind to the customer when buying quite an expensive addition to their home or office. We have partnered with several Australian manufacturers to give you the opportunity to buy a great home grown sofa, chair or ottoman at a great price. Our manufacturers have been in the industry for many years and are fully onboard with offering their product to the consumer at a competitive price. Lounges Direct and our suppliers stand behind our product and guarantee satisfaction of workmanship and timely dispatch times.